You'll have a Rollicking Good Time! 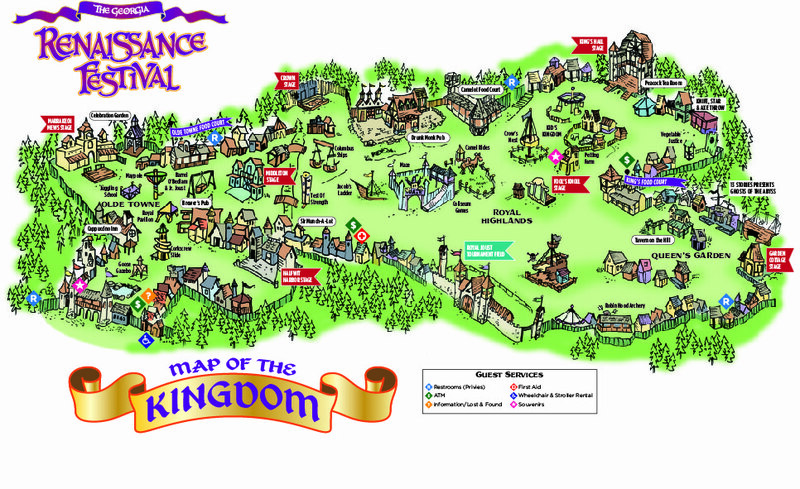 Thanks to our fans for voting us "Favorite Renaissance Festival in the Southeast"! THIS WEEKEND IS ROMANCE WEEKEND! Renew your vows at our Vow Renewal Ceremony both days at 2pm at the Wildwood Pavilion. Register at the Information Booth before 1pm to participate! Bring your significant other and enjoy all the fun – go here for more info! It's Our 34th Annual Season! 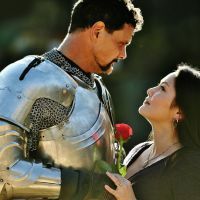 Each weekend from April 13 through June 2, 2019, you can step inside the gates of Newcastle and find yourself transported back to 16th-century England! Our 32-acre village is filled with over 150 artisan craft shoppes, 10 stages of endless entertainment, wonderful pubs and taverns, plus food galore! 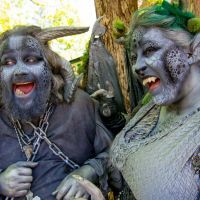 You’ll laugh out loud at the antics of our costumed characters, try your skill at carnival games, and enjoy human-powered rides for kids of all ages. Did we mention food? 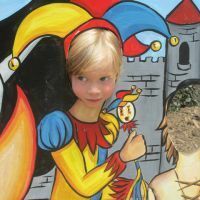 Giant roasted turkey legs, fish and chips, hearty ales, mead and more - a feast fit for Royalty! It's a full day of fun, food and entertainment for the whole family. 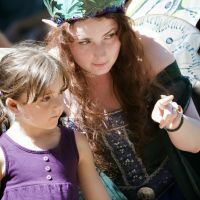 NEW THIS SEASON - PURCHASE FAIRY TEA PARTY AND PUB CRAWL TICKETS ONLINE! 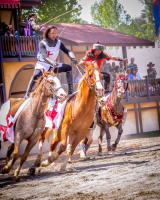 Feel the ground rumble as gallant Knights battle on 4,000 pounds of thundering equine fury. Eat, Drynk and Be Merry! Feast your eyes on the plentiful selection of foods and beverages to tame your ravenous hunger. Shop 'til you drop in over 150 unique artisan shoppes throughout the village. 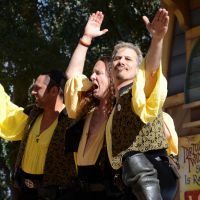 Skilled and talented performers will amaze and amuse you! Fantasy meets history and superheroes meet Royalty during our Time Warp Weekend! Become a part of history as you rub elbows with the peasants and merchants of Newcastle.